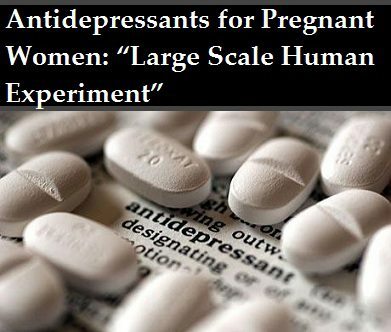 [2012 March] Baby’s Being Harmed by Mom’s Antidepressants babies born to mothers who took antidepressants while they were pregnant had slightly slower head growth and were more likely to be born early...... ten percent of mothers taking SSRIs had a premature birth, compared to six percent of those with untreated depression and five percent of non-depressed moms. Previous studies have suggested a slightly increased risk of some birth defects in babies of moms taking antidepressants, as well as a greater chance they will end up needing intensive care......In January, the British Medical Journal published a study showing that babies of women who take SSRI antidepressants during pregnancy have a slightly increased risk of a life-threatening condition called persistent pulmonary hypertension of the newborn (PPHN) in which not enough oxygen reaches the bloodstream but returns to the heart in an oxygen-poor state. This in turn causes rapid breathing, a rapid heart rate, respiratory distress, and cyanosis. If not caught in time, it can cause shock, heart failure, brain hemorrhage, seizures, kidney failure, multiple organ damage, and possibly even death. [2012 March] Are asthma inhalers linked to birth defects? Thousands of pregnant women at centre of inquiry into health problems in babies Thousands of pregnant women taking prescription drugs for asthma, epilepsy, diabetes and depression are at the centre of a major inquiry into birth defects and health problems in babies. [2011 July] Paracetamol should not be used for infectious fevers - revisited by Hilary Butler People should realise that normal therapeutic doses of paracetamol can cause liver damage, and that the use of paracetamol accounts for over 400 liver transplants a year in the USA. Furthermore, there are serious questions being raised about it, given that 65% of pregnant women use paracetamol regularly. [2010 Nov] Can taking aspirin in pregnancy make your son infertile? The fight for justice by the victims of the 'forgotten Thalidomide' He is one of an estimated several thousand children from around the world who appear to have been left with deformities as a result of their mothers taking Primodos in the late Seventies. Known as 'the forgotten Thalidomide', Primodos was prescribed as an alternative to a urine stick test for pregnancy. See: AZT POISONING OUR CHILDREN: AZT in pregnancy. "The developing foetus can be congenitally malformed; it can have heart attacks in the womb. We also know that the newborn baby born to somebody taking benzodiazepines will have difficulty breathing and they would have floppy muscles – what doctors call a 'floppy baby' and they may be unduly cold because the temperature regulation, which is so important to a baby, is disrupted ... Well I think if any doctor is prescribing benzodiazepines to a pregnant woman, he should check his indemnification status because it is in fact illegal prescribing." – Robert Kerwin, Professor of Psychopharmacology at the Maudesley Hospital in London, BBC Radio 4, Face The Facts, March 16, 1999. The era immediately following WWII saw a veritable explosion of new drugs and bio-active chemicals. Many resulting from war related R&D efforts instigated in the late 1930s and early 1940s. Insecticides such as DDT, and antibiotics such as penicillin revolutionized human civilization, resulting in changed expectations that are still influencing society today. In this environment of sweeping societal transformations, it was a relatively simple matter for the NSA to covertly promote new and novel uses for drugs and other chemicals that would result in creation of children with the required cluster of teratogen induced birth defects. One of the most widely prescribed and thoroughly documented (teratogenic) synthetic hormone analogs of that period was DES (diethylstilbestrol). First synthesized in 1938 at the university of Oxford, and approved by the FDA for prevention of miscarriages in 1947, DES was manufactured and sold by pharmaceutical giant Eli Lilly until 1997. Even though the teratogenic properties of DES were (publicly) documented in 1971. It is estimated that between 1941 to 1971, five to ten million pregnant (American) women had taken DES, thereby exposing their unborn children to this teratogenic drug. All of this, in spite of the fact that a 1953 (double blind) study found pregnant women who were given DES had just as many miscarriages and premature deliveries as the control group. 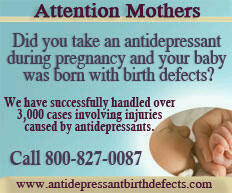 Are we to believe the FDA allowed the continued use of an ineffective drug (on pregnant woman) for eighteen years? Or was there a hidden agenda behind their apparent lapse of oversight? If we assume that only one in every hundred of these (DES exposed) children developed enhanced psychic abilities, and of those, only one in ten were of sufficient strength to be useful in psychic warfare, then this single teratogenic drug added five to ten thousand potential soldiers to the NSA psychic slave army. All without any public awareness of the real motivation behind introduction and aggressive DES promotion. Truly, subterfuge and collateral damage on a massive scale. DES is typical of first generation teratogenic inducers of psychic abilities. Besides wide spread (covert) promotion of drugs like DES, the NSA exploited other avenues in their quest to create children with enhanced psychic capabilities. For instance, medical staff at facilities for unwed teen mothers were infiltrated (subverted), thereby enabling the covert use of experimental teratogenic drugs on naive underage girls. It is a safe assumption that in the intervening decades since WWII, NSA funded pharmaceutical research has developed a number of more potent (and narrowly targeted) teratogenic drugs for use on an unsuspecting population.